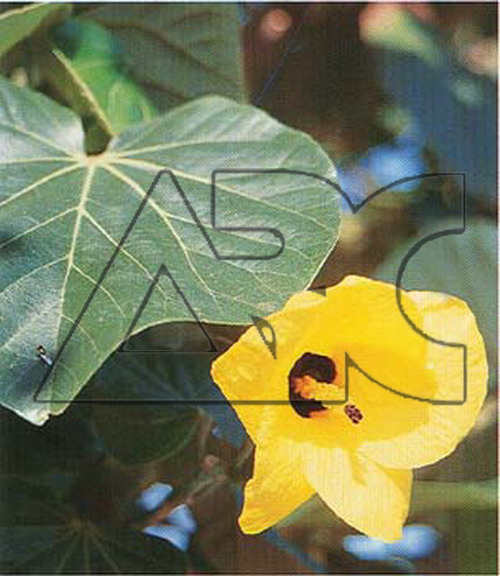 Has large heart-shaped leaves which are slightly hairy on the undersurface and large five petalled. Flowers are bright yellow with a dark red base; as they age, the flowers darken and are orange by the time they fall in the evening. The tree tends to sprawl rather than upright but in time can develop quite a large trunk.